We often hear “there were four brothers who came to America”, one of the popular genealogy myths that is often disproven. The myth is that there were four Trask brothers: Henry, John, William and Osmond. All the these Trasks left records and descendants in Salem and Beverly, Massachusetts, but there is no proof they were all brothers or even kin. Osmond Trask married Elizabeth Gully on 22 May 1663 in Beverly, Massachusetts and had six children who all married and left descendants. 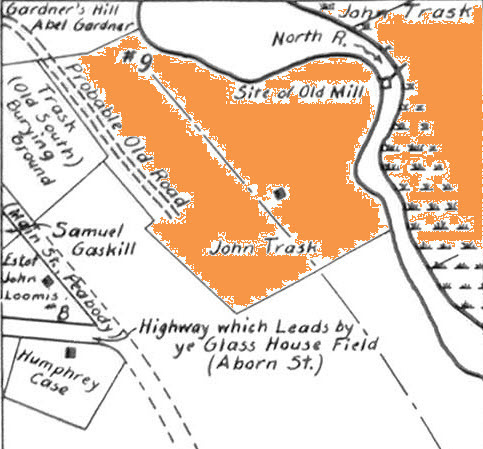 John, Henry and William Trask lived in Salem. Captain William Trask arrived first on “Zouch Phenix” in 1624, as the military leader of a Dorchester Company fishing station on Cape Ann. It is very likely he made several trips back and forth across the Atlantic in the early 1620s. He settled in Salem and had six children. Pope and Savage attributed some of Henry Trask’s children to William Trask, so be careful when looking up his family record. There is a Trask Burial Ground in Peabody, Massachusetts (formerly Salem). In the records it states that William Trask operated a windmill for grinding grain. According to the Great Migration “Ownership of the mill and the surrounding plain was a subject of great controversy in the August 1686 term of the Essex court [ EQC 46:21].” In the Great Migration Begins, Robert Charles Anderson does not think that Henry Trask is a relation to William, and I tend to believe his conclusion over other books. Anderson also states that “The mill was a lasting bone of contention with some of his neighbors, and at court 30 November 1652 Capt. Traske was presented for having no suitable weights in his mill [ EQC 1:274]. “ and other matters in court to do with the windmill. This windmill and the land it sat on would be in present day Peabody, Massachusetts. Will of William Trask, SR. The will of William Trask, sr., of Salem, was proved in the court held at Salem June 28, 1666. The following copy is transcribed from the original instrument on file in the office of the clerk of courts at Salem, volume XI, leaf 134. Generation 2: William Trask, born before 19 September 1640 in Salem, died before 26 March 1691 in Salem; married first on 18 January 1666 to Ann Putnam, daughter of Thomas Putnam and Ann Holyoke, born 25 August 1645 and died 14 September 1676 in Salem; married second to Anna Unknown (my ancestress). Generation 3: Mary Trask, born March 1683 in Salem, died before 1767 in Danvers; married on 8 January 1710 in Salem to John Southwick, son of John Southwick and Hannah Follett, born on 13 December 1688 in Salem, died before 7 October 1771. Seven children. 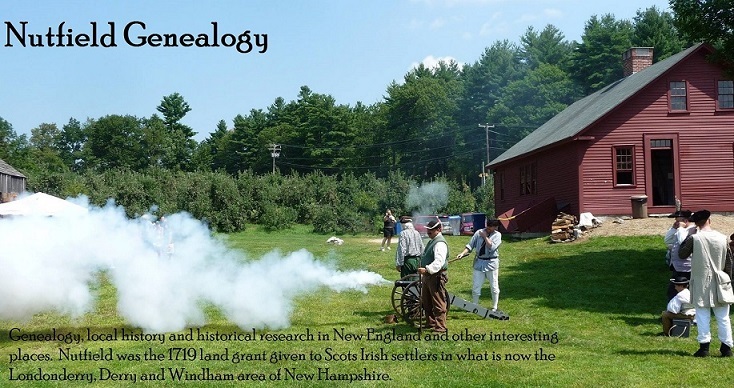 The Great Migration Begins: Immigrants to New England, 1620 -33, by Robert Charles Anderson, Boston, MA: New England Historic Genealogical Society, 1995, Volume 3, pages 1834-1837. The Essex Genealogist, Volume 21, pages 24 -27. History of Salem, by Sidney Perley, Volume 1, pages 94 -96 for a sketch of the early generations of the Trask family. NEHGS to be featured on PBS series! Friday Funny ~ Watch out for Lobsters! Friday Funny ~ That's It!